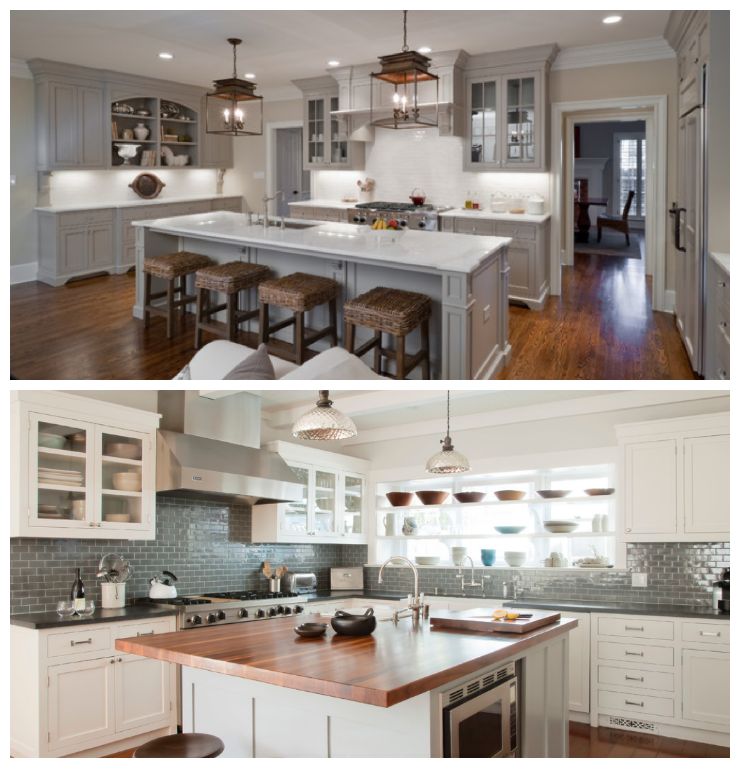 If you’re planning a kitchen renovation soon, here are a few ideas to give a clean, modern edge to the warm and inviting rustic style for the kitchen. 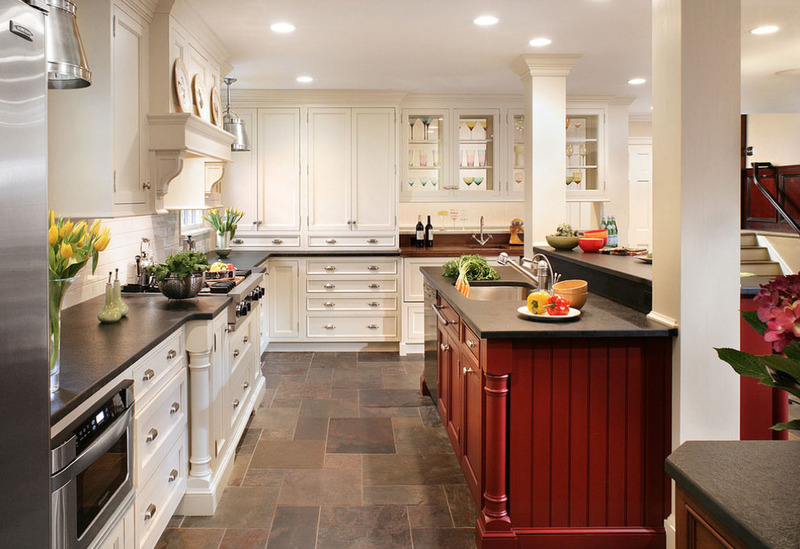 This article will give you inspiring ideas to help you fit your kitchen in a modern yet rustic style. 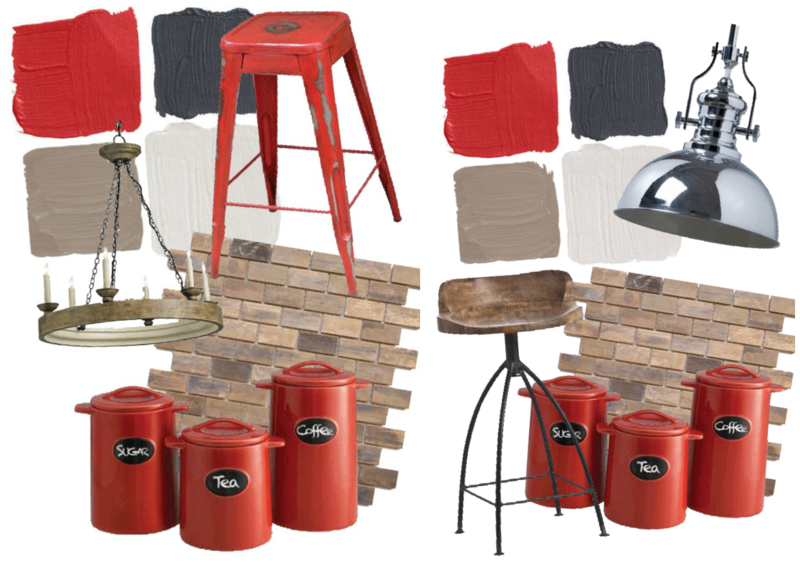 This “rustic/industrial” style is gaining popularity and is defined by clean and contemporary lines with rustic elements in moderation to add warmth. 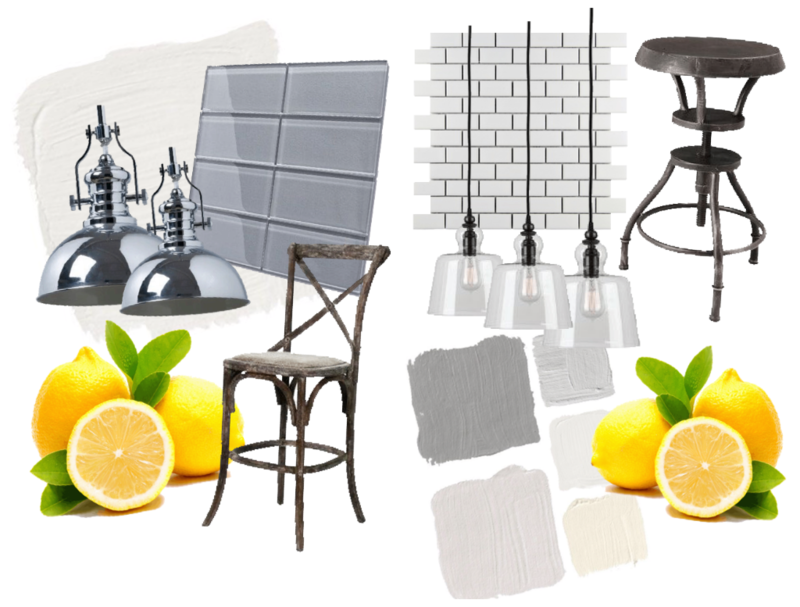 Accessories such antiques with simple lines fit in well and with a bit of imagination it’s easy to find items whose clean lines and muted colors will create the statement that you want to achieve. 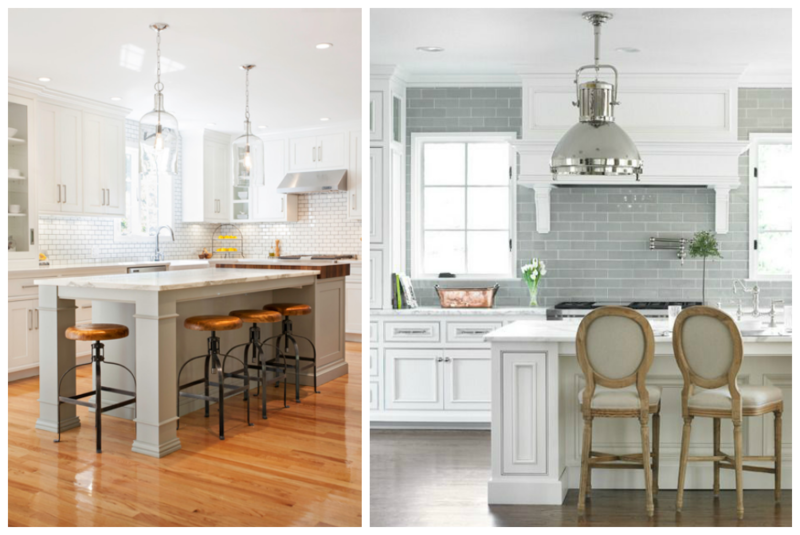 The 6 ideas that follow are grouped into color and complementary textures to serve as a guideline to create your own kitchen and feel free to comment on which combination you prefer. 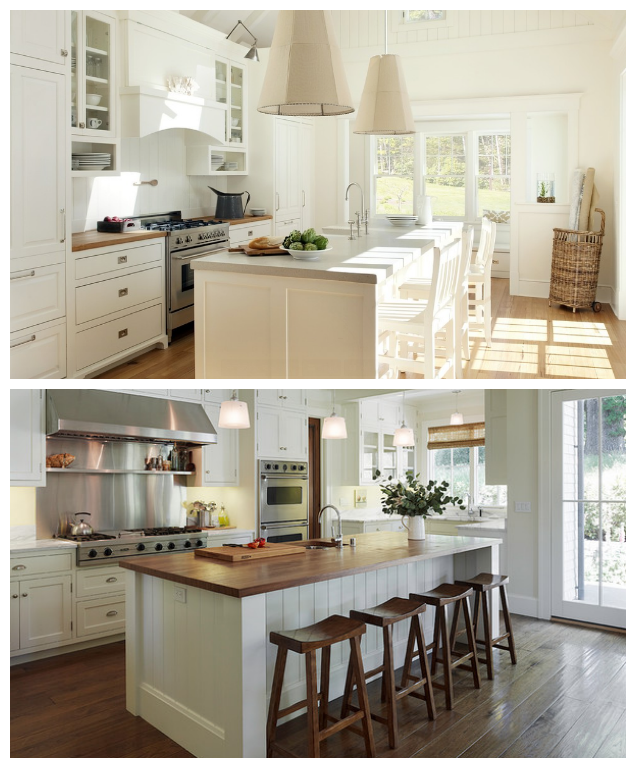 Even white can be found in this type of decor. 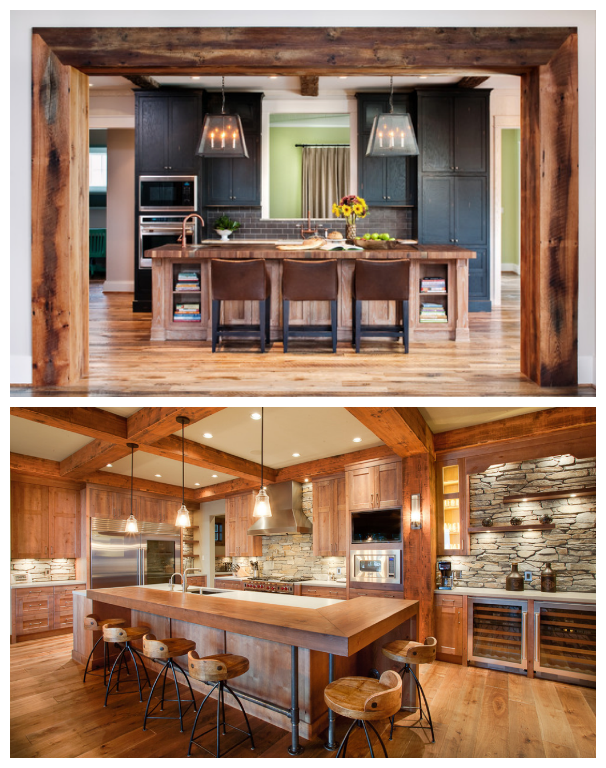 Don’t forget to add wood to the industrial style elements to give a more inviting feeling. 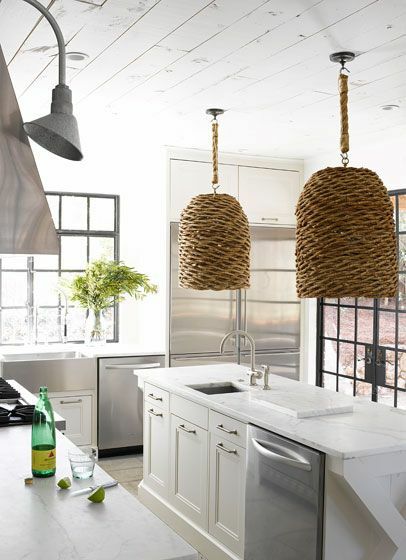 A touch of color, such as yellow or green, will pull the look together for a pleasing effect This charming kitchen uses wood for the back splash and the island White is symbolic of pureness and perfect balance but be careful not to overdo it because too much white will make the ambiance feel cold These unusual wicker light fixtures add an unusual and exotic touch! 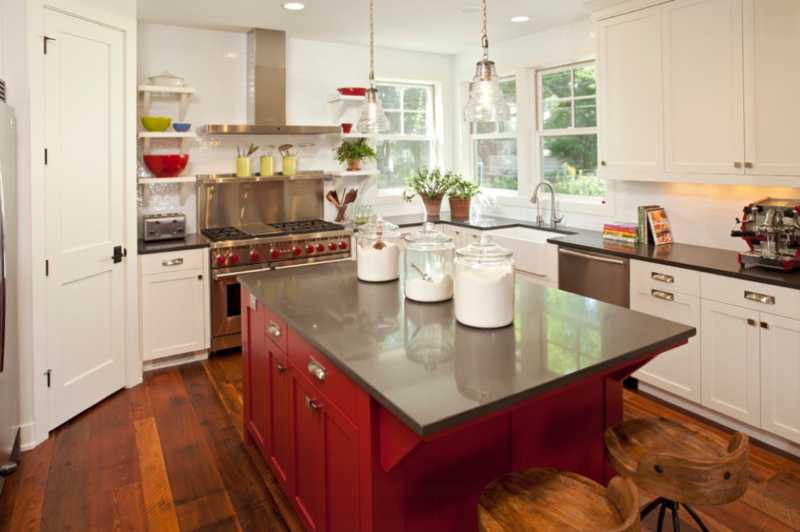 Touches of red will add energy and warmth through the use of accents and splashes of color. A really original idea, wood seating around a red island… Even if red isn’t your favorite color, it pulls the look of these kitchens together and adds a wonderful glow! 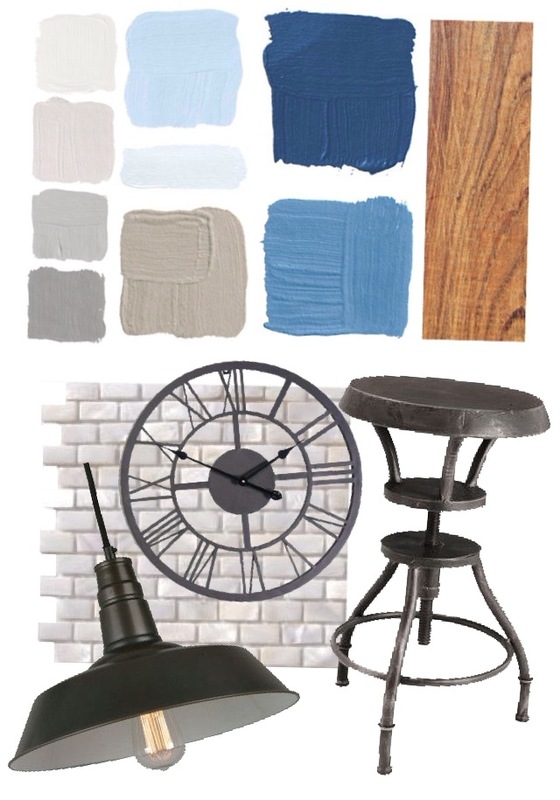 There are many different options available to create your unique style when working with blue. 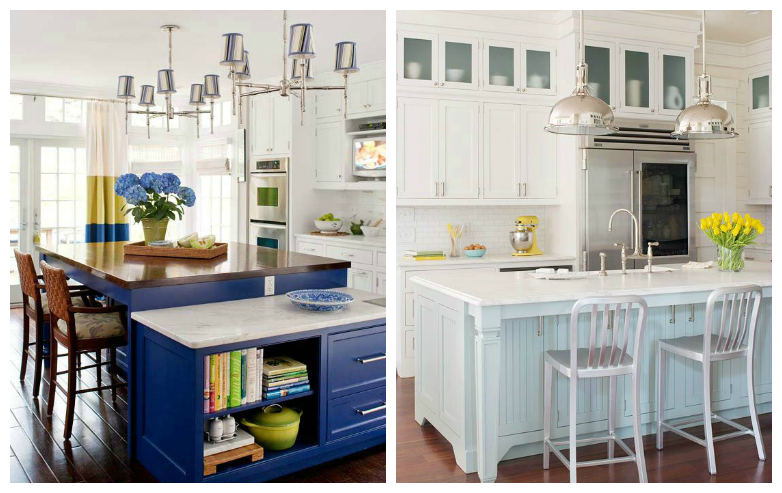 Whether ocean front, classic, antique or modern blue is a relaxing color that invites serenity. 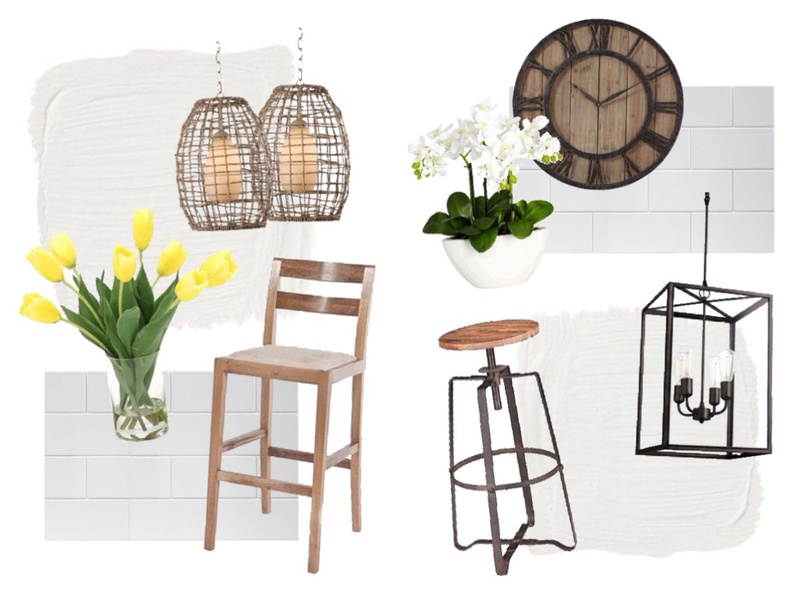 Bringing wood together with pale blues creates a calming decor that ages well and fits with many different accessories. 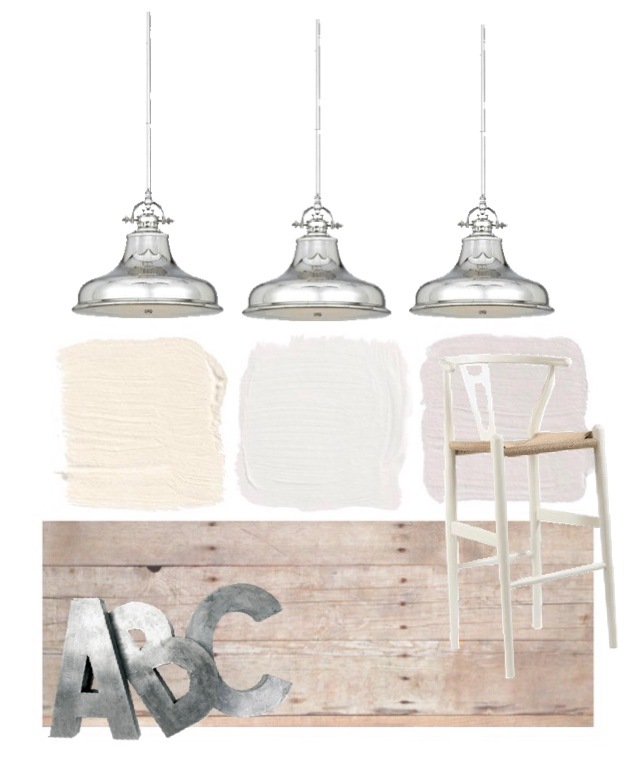 Classic furnishings with industrial accessories create a lovely balance between trendy and relaxed…. 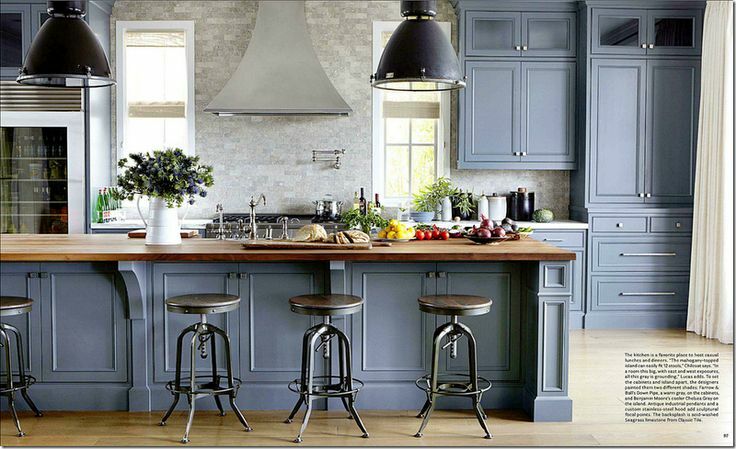 The feeling you create will depend on the shades of blue that you choose… A bit of advice for the island if you want to retain the modern/rustic feel whether using light, dark or grey blue it’s best to avoid other “overpowering” colors and to stick with white for the walls and cabinetry. 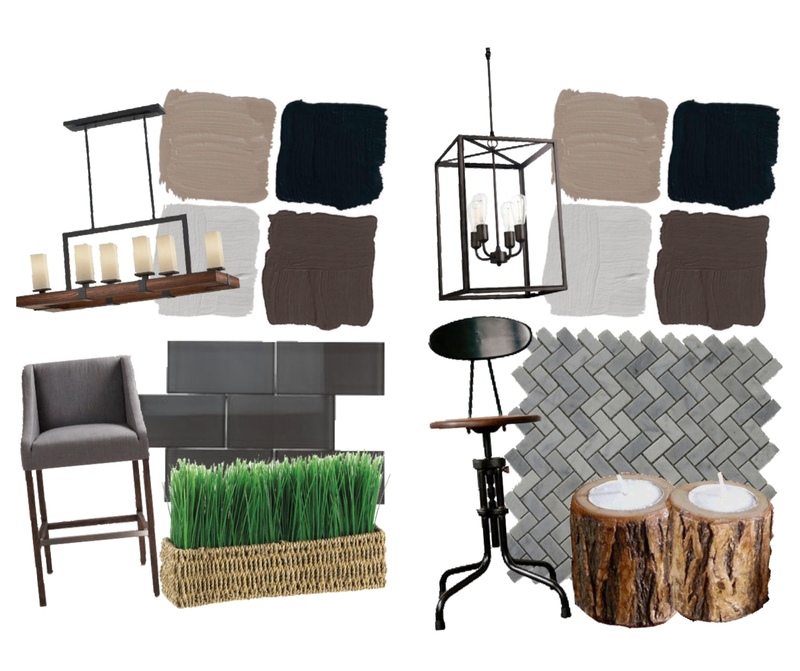 Modern/rustic with a touch of grey!